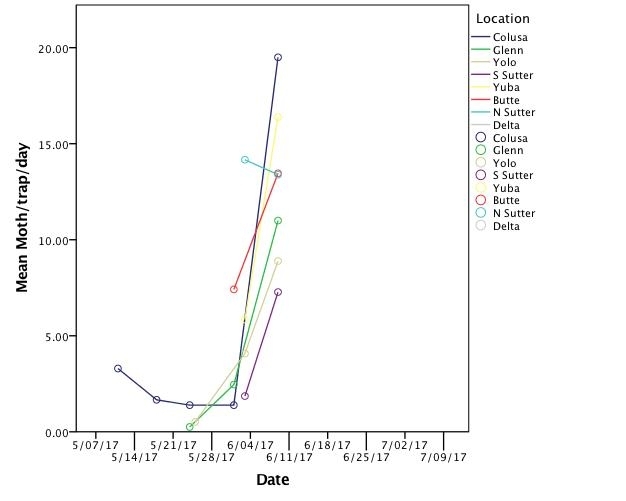 The number of moths trapped has increased in all locations, except in the North Sutter one (which was already high to begin with). In most fields the rice is still in the three to five leaf stage. In the Colusa and Glenn fields I was able to observe feeding on weeds and rice seedlings on levees that looked like feeding from small armyworms. 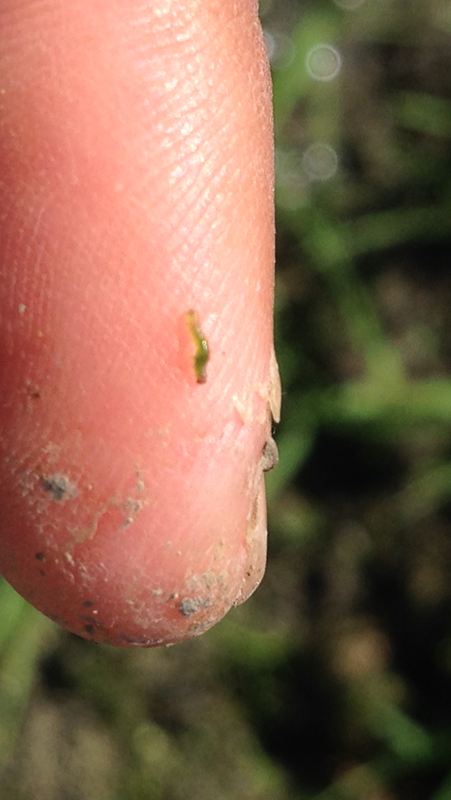 At the Glenn location, I found very small worms, probably first and second instars, in grassy weeds. 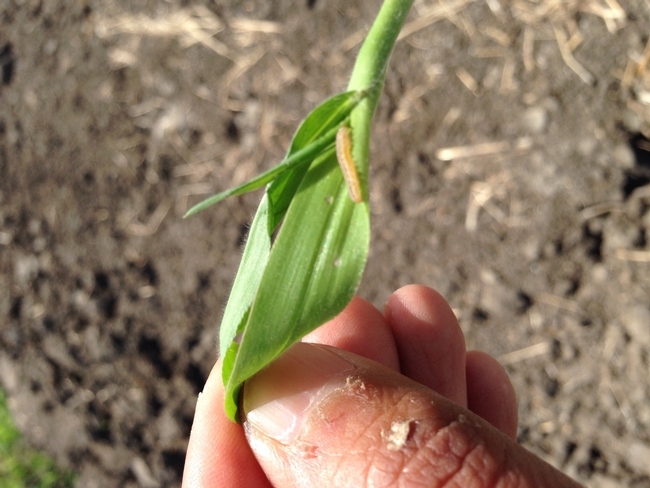 Using a degree day (DD) model developed for the true armyworm, we expect the worms to reach the fifth instar after 255 DD over 50 F, which is when they start feeding voraciously on rice. Using average temperatures for this time of year, that will be in about 10 days. Start monitoring then to make sure you detect infestations early. You might be wondering, if the worms are already out there, would I benefit from an early insecticide application? Well, maybe yes, maybe not. Those small worms are very susceptible to natural enemies, and many will not make it to fifth instar. There are so many bugs in rice that can feed on those worms, that it might be wise to wait and see if they take care of the population for you.